The biggest and longest controlled burn experiment conducted in the Amazon rainforest has afforded new insight into the means that tropical woods succumb to--and bounce back from--large scale wildfires, according to new research coauthored with a University of Colorado Boulder professor. The findings, which were released in the journal BioScience, will be caused by a decade-long study on earth 's biggest rainforest and emphasize the intricate functions that variables like climate, combust frequency and plant diversity can play in discovering the forest's response to wildfires. The research suggests that Amazon woods had the ability to resist an initial, low-intensity burn without suffering irreversible damage but cannot hold up against continued blazes, particularly when those fires and drought years coincided. "Time is crucial," said Jennifer Balch, assistant professor in the Department of Geography at CU Boulder as well as the lead writer of the recent study. "The forest is very resistant following one burn and we are able to find canopy restoration. In 2004, the researchers established a nearly 370-acre plot in the southeastern part of the Amazon and started examining frequencies burn. (a pattern representing human were burned per annum -caused wildfires) while other sections were burned every 3 years to mimic the natural El Nino cycle, which will bring drier weather. Controlled fires are often used for agricultural functions and property management. 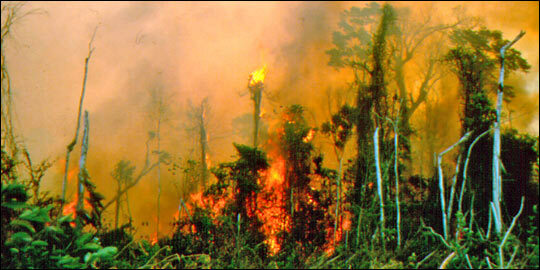 Nevertheless, blazes burn for weeks or months through the dry season and could escape into surrounding regions. Although the deforestation rate in Brazil has decreased somewhat recently, wildfires haven't. "The rainforest isn't a spot that is designed to burn that way," Balch said, noting the period of the study enabled the researchers to record among the best tree mortality rates ever seen in the Amazon. The ants remove other woody debris as well as leaf litter on the floor, efficiently developing a network and taking away possible fuel sources.